We usually don't cover crowd-funded hardware, if only because so many Kickstarter and Indiegogo campaigns fail to reach full retail fruition. But when we can get our hands on a fully working prototype, as we have with the Xounts Up speaker system, the hardware becomes more difficult to ignore. This product’s unique design piqued our curiosity, and the company agreed to send us a beta version to evaluate. Designed in Germany, the Xounts Up is a combination wireless speaker and LED light show. 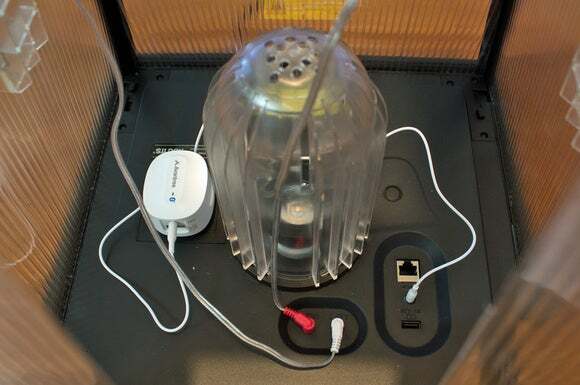 The square base houses an 80-watt amplifier, a 6.5-inch subwoofer, an RJ45 ethernet jack, an electrical outlet, and an E26 light-bulb socket. An obelisk-shaped frame with four plastic panels, two of which have transducers mounted to them, sits on top of the base. 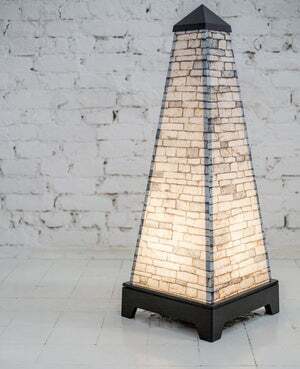 You can drape a variety of form-fitting slipcovers over the obelisk to customize the speaker’s design. The Xounts Up stands about 40 inches high. During the campaign, you can pre-order one Xounts Up for between $269 and $499, depending on the options you choose. The prototype we received had everything, which includes a Bluetooth module that plugs into the AC outlet; a multi-color, dimmable smart LED bulb with a remote control; and two different covers (a warm-white LED bulb is standard, or you can use any other smart bulb with an E26 base). Why would you need a Bluetooth module if the Xounts Up has an RJ45 port? Because the RJ45 port isn’t a true ethernet port. If you want to add the speaker to your network, you’ll need an AC-powered travel router (or something like an Apple AirPort Express). 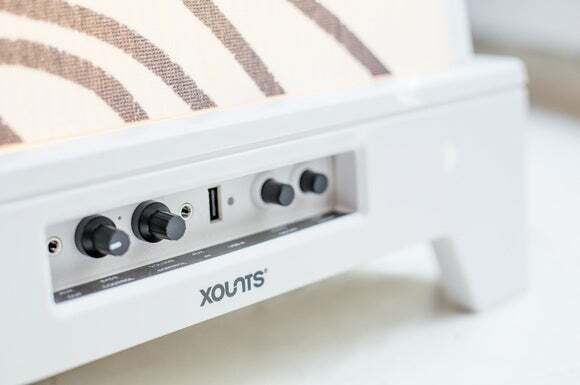 Being designed to sit on the floor, the Xounts Up handily solves the problem of where to locate the speaker. You don’t need to worry about finding a shelf or a piece of furniture that’s not too high or too low, or that’s just the right distance from a wall. Apart from having the power cord trail across the floor, you can put this speaker anywhere. And since you can light it up independently without ever having to use the speaker, it becomes an instant conversation piece, with no audio required. The 32-button remote control that comes with the smart LED bulb lets you set a variety of brightness levels; pick different shades of red, green, blue, and white; memorize up to three settings; and program three buttons. The Kickstarter page says the light can be synchronized to music, too, but the designers must be using a very loose definition of the word synchronize. Yes, the lights can be set to pulsate and change color while the music plays, but the patterns had little relation to the rhythm of the music. The light pulses are triggered by sound of any frequency, but, for example, it would be much more interesting if they followed just the bass line. This is what the Xounts Up looks like on the inside with its sleeve removed (the multi-color LED smart bulb in in the center. and the Bluetooth module is on the left). The amplifier and down-firing subwoofer reside beneath this compartment. I tested the Xounts Up’s audio performance by streaming music over Bluetooth, but it has a stereo aux input and a USB port if you want to plug any other source into it. 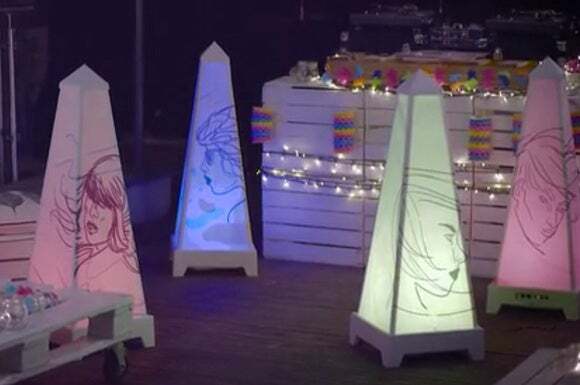 The obelisk has lots of joints, loose contact points, and thumbscrews, so I was surprised when I played music through it and didn’t hear any unwanted vibrations. 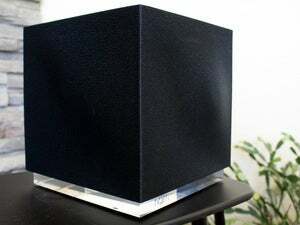 The typical speaker cabinet is designed to be acoustically neutral, but the panels to which the transducers are mounted are designed to resonate. Audio purists won’t like the Xounts Up at all, but they’re obviously not the target audience. For all those reasons, I was prepared to be horrified by the Xounts Up’s audio performance. To my great surprise, it actually sounds pretty good. What's more, the speaker lives up to its promise to deliver 360-degree sound. 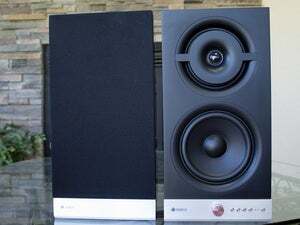 While there are distinct left and right speakers, you still get a sense of stereo even when you’re completely off axis—as in 90 degrees to the front or rear of the speaker. Listening to Dan Hicks and the Hot Licks perform “I Scare Myself” (from his 2000 album Beatin’ the Heat), the opening kick and snare drum have a well-defined snap. When Hicks and guest vocalist Rickie Lee Jones come in, their voices are well blended with the accordion, piano, and the rhythm section. (Hicks was impossible to pigeonhole, but if you enjoy vocal jazz, this album is a treat, with other guest appearances that include Bette Midler, Tom Waits, Brian Setzer, and Elvis Costello). The base harbors independent controls for the stereo speakers and the subwoofer, aux inputs and outputs, a USB port, and on/off switches for audio and lighting. The Xounts Up doesn’t lack in the bass department, either. The Annie Lennox track “Money Can’t Buy It,” from her Diva album, opens with just electric bass and a kick drum laying down a slow groove. The 6.5-inch subwoofer served it up good and thick. 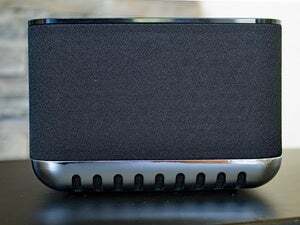 Judged solely as a speaker, the Xounts Up is good, but not great. It will be very fun at parties, but it’s not as acoustically pleasing as something like the new Sonos Play:5. If you’re interested enough to buy a Xounts Up, there are 10 days remaining in the campaign. The company has received more than $77,000 in pledges against its $60,000 goal, and it expects to ship its product in November. For a stretch goal, the campaign lists a power bank that will enable the speaker to run completely wireless for up to nine hours, but it’s unlikely to reach the $250,000 target to unlock that option. Bottom line: There are better-sounding speakers on the market, but few that are as much fun or as likely to start a conversation.